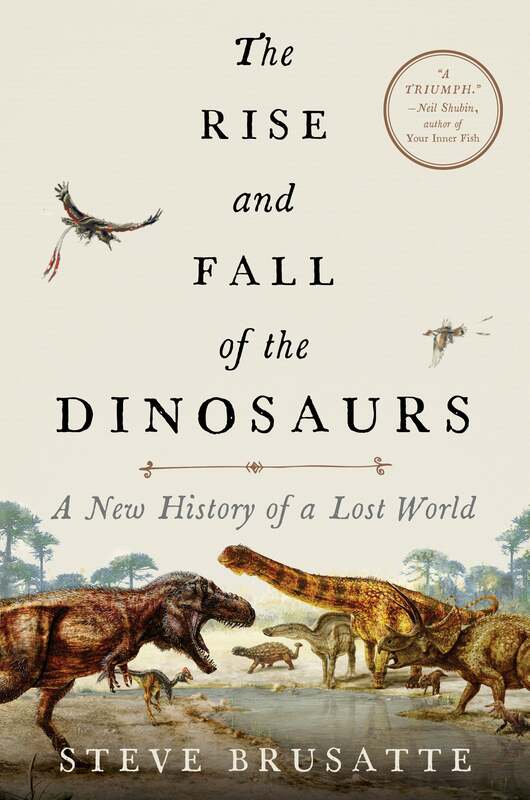 In his new book, The Rise and Fall of the Dinosaurs, palaeontologist and evolutionary biologist Steve Brusatte shares his expansive knowledge by providing a concise and highly accessible overview of the dino era. Though extinct now, these remarkable creatures had a tremendous run, dominating the planet's ecosystems for tens of millions of years. 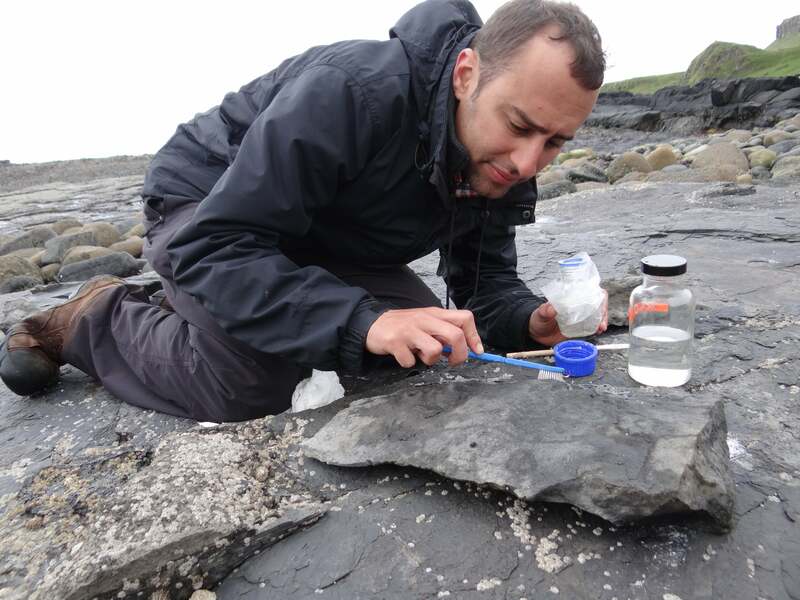 We recently chatted with Brusatte to learn more about his book, the current state of palaeontology and of course, dinosaurs. Gizmodo: Before we get into dinosaurs, we'd like to learn a bit more about your new book, The Rise and Fall of Dinosaurs. What were you hoping to accomplish or convey with this book that hasn't been done or said before? Steve Brusatte: There are so many books about dinosaurs aimed for children. If you go to a library or bookshop, you might see hundreds of them. But there aren't so many dinosaur books aimed for adults, and that's a shame because the evolution of dinosaurs is such a fantastic story, with so much relevance for understanding our world today. What I've tried to do with this book is write a pop science book for adults, which tells the story of dinosaur evolution from origins to extinction, with stories of fieldwork and discoveries and other adventures woven in. Gizmodo: By encapsulating the entire story of the dinosaurs in a single book, what did you learn about these creatures that you didn't appreciate before, and has the experience of researching and writing this book changed your approach to palaeontology? Brusatte: The dinosaurs were an empire. I never really thought of them that way before, but after sitting down and writing the book, that's what strikes me. They flourished for over 150 million years, utterly dominating the planet and evolving into some of the most incredible feats of biology the world has ever seen. But they had to rise up and seize the crown, and then later they fell spectacularly. It's kind of like Game of Thrones, but it really happened. Gizmodo: How has dinosaur research changed in the past 10 years, and what developments are you hoping for in the coming decade? Brusatte: We are in the golden age right now. Somewhere around the world, somebody is discovering a new species of dinosaur on average of once a week. So that's 50-something new species per year. It's a number that's almost unbelievable. But it's happening, and that's because palaeontology is becoming a diverse science, with women and men — and particularly young people — all over the world going out looking for dinosaurs. Diversity is the driving force behind this incredible rush of discoveries, and over the next decade we need to keep fostering that diversity. The more inclusive we make our science, the more people who have the chance to make their own discoveries. Gizmodo: What's your take on how dinosaurs are being conveyed in the upcoming film Jurassic World: Fallen Kingdom? Are you frustrated with Hollywood's unwillingness to show dinosaurs as they really were — feathers and all? Brusatte: I'm not one of those scientists who's going to rip on Jurassic Park. I love Jurassic Park. The book and particularly the film brought dinosaurs to the masses, and I still remember seeing the film in the cinema when I was nine years old. We owe a huge debt to Jurassic Park because it increased public interest in dinosaurs, which directly led to a lot of new funding and new jobs. Sure, the movies aren't perfect. They're not documentaries. They're entertainment. But yes, I wish they would put feathers on the dinosaurs. 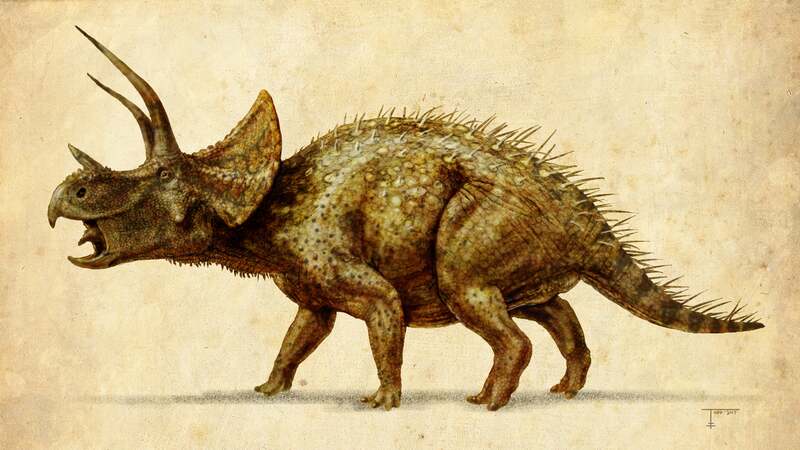 Gizmodo: The dinosaurs lived across three time periods, the Triassic, Jurassic, and Cretaceous. What differentiates these periods, and the animals that lived in each? Brusatte: The Triassic was the rise of dinosaurs, when the first humble dinosaurs were trying to make their way in a world recovering from a devastating mass extinction that nearly wiped out all life. The Jurassic was when dinosaurs finally became dominant, after another mass extinction killed off a lot of their early competitors and gave them a wide-open playing field to grow to huge sizes and evolve like mad. The Cretaceous was the heyday of the dinosaurs. Different species lived on all of the different continents, including T. rex in North America, sauropods the size of Boeing 737s in South America and Africa, and tiny dwarfed species on the islands that made up modern-day Europe. 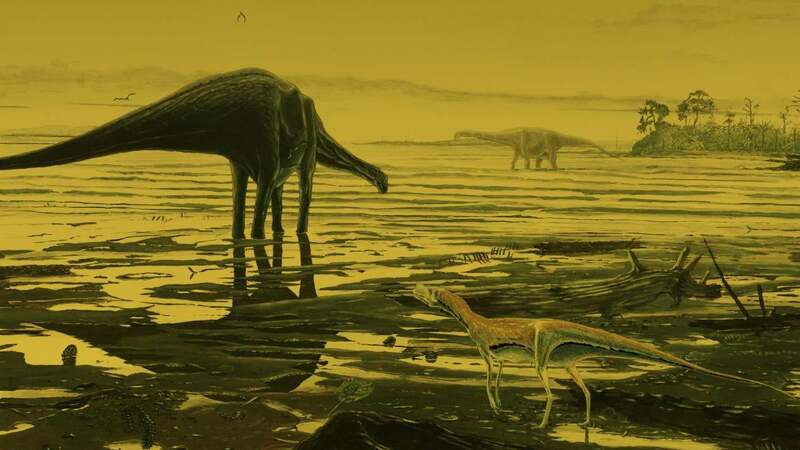 Gizmodo: Dinosaurs came in many shapes and sizes, but they're particularly renowned for including some of the largest terrestrial animals this planet has ever seen. What were the evolutionary pressures and environmental conditions that led to gigantism among the dinosaurs? Brusatte: It's one of the great mysteries of evolution! When the first sauropod bones were found, they were so big that the scientists of the day couldn't believe they came from a land-living animal. So they thought they were whales. We now know a lot more about sauropods, but why they became so big is still a bit of a conundrum. 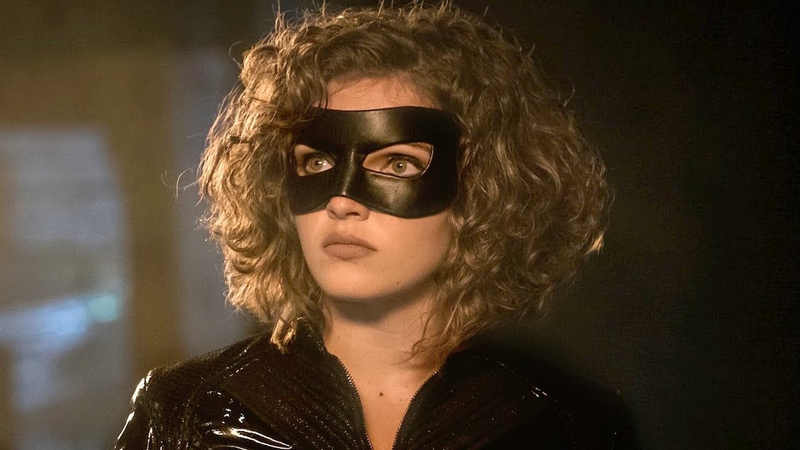 It doesn't seem like there was one reason, but rather they evolved a number of different superpowers that together allowed them to develop huge sizes. Like their long necks that enabled them to reach high up into the trees to eat leaves that were inaccessible to other dinosaurs, basically providing them a free buffet they could use to stuff themselves full of nourishment. And their super lightweight skeletons, hollowed out by air sacs that extended from the lungs, which let them have big skeletons that weren't so bulky that they couldn't move around. Put these things together and you have the ingredients for a mega-sized creature. 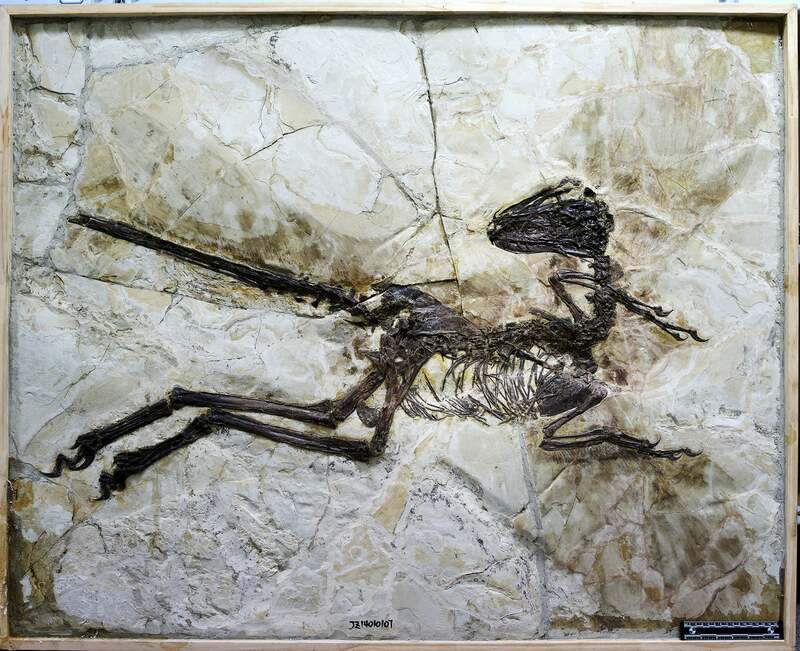 Gizmodo: Inferring behaviour from fossils and footprints must be extraordinarily difficult. What are the ways in which paleontologists can tell how a particular dinosaur behaved? Brusatte: It is indeed tricky, because these are animals that have been dead for tens or even hundreds of millions of years, and we can't watch them going about their every day business. So often times we have to make comparisons to modern animals in order to gauge reasonable ideas about dinosaur behaviour. But in some unusual cases, their behaviour can be directly recorded as fossils. Like footprints that show how fast they were moving — which you can tell based on the spacing between the tracks — or spectacular fossils preserving parent dinosaurs on top of their nests brooding their eggs. 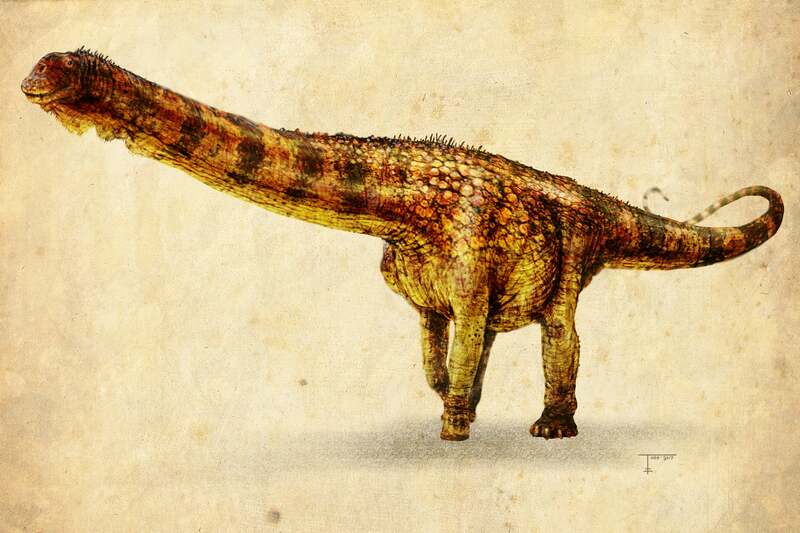 Gizmodo: All terrestrial dinosaurs, from the turkey-sized theropods through to long necked, 15-ton sauropods, laid eggs. Unlike birds, dinosaurs couldn't roost in trees, which means their nests must have been vulnerable to predators. How did this fundamental constraint affect dinosaur evolution and behaviour? Brusatte: It's a great question! And I don't have an immediate answer for you. 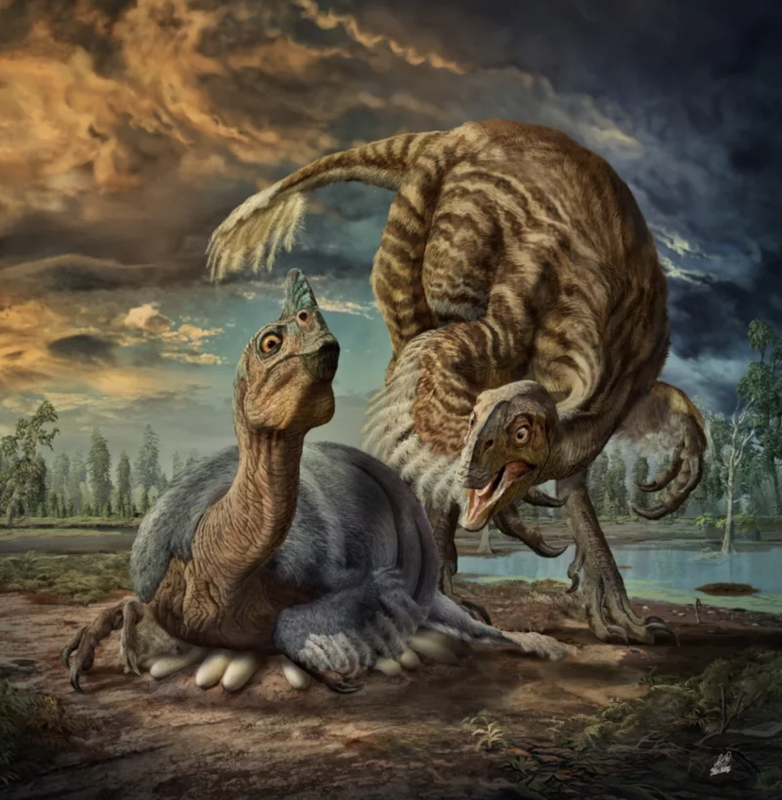 We do know that some dinosaurs, particularly the very bird-like feathered theropods like Oviraptor and Troodon, were great parents that guarded their nests and even sat on their eggs. So these dinosaurs would probably just scare away potential predators. But not all dinosaurs were like that. The huge sauropods seem like they just laid a bunch of eggs in shallow holes in the ground and left them to develop. If that's correct, I suppose it means their reproductive strategy was to lay a lot of eggs, let nature do its thing, and then in the end a few would survive and that would be enough to perpetuate the species. Gizmodo: What's your favourite dinosaur? Brusatte: It's really cliched I know, but I have to go with T. rex. How can you not be mesmerised by a bus-sized, seven-ton predator with teeth so powerful it could crush through the bones of its prey? There's nothing like that alive today. Gizmodo: Why are we so fascinated by T. rex, even though many other comparable carnivores existed? Brusatte: Stand underneath the skeleton of a T. rex in a museum and you're going to have an out of body experience. This was the biggest, baddest predator of all time. It's more incredible than dragons, or unicorns, or sea monsters, or any other creatures that humans have created in myths or legends. But T. rex was real. Gizmodo: What would a typical day as a fully mature T. rex look like? Brusatte: We can let our imaginations run wild. We know T. rex lived in the forests and floodplains that flanked a big continental sea and a huge river system. We know that it hunted Triceratops and duck-billed plant-eaters like Edmontosaurus. We know that its cousins, like Tarbosaurus and Albertosaurus, travelled around in packs, so the same was probably true of T. rex. We know that it couldn't run very fast, but could bite so strong that it crushed the bones of its prey. We even know that sometimes it engaged in cannibalism. Put all of these things together and the average day of a T. rex was probably a lot of hanging around in the herd, and then hunting big game when hunger struck. 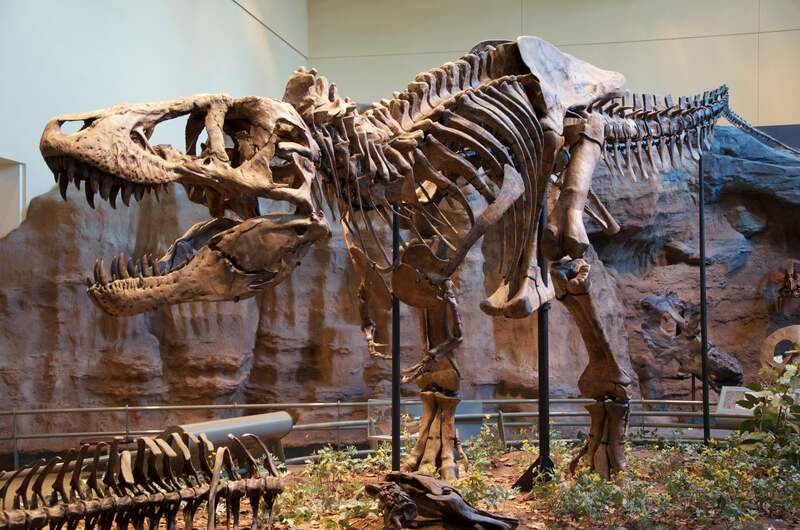 Gizmodo: What are we learning about T. rex intelligence? Brusatte: We used to think dinosaurs were dumb lumbering brutes. That's the way the books I read as a child portrayed them. But we now know that many of them were pretty intelligent. It's not guesswork. We really know what dinosaur brains looked like, thanks to CAT scanning. We can use the CAT scanner to see inside the skulls of dinosaurs and build digital models of their brains and sense organs, the same way medical doctors can use CAT scans to look inside our bodies. And perhaps surprisingly, it turns out that many dinosaurs had big brains, which implies high intelligence. The raptor dinosaurs like Velociraptor and Troodon had the biggest brains in relation to their body sizes and may have been as smart as dogs and cats... and maybe even primates. It's hard to make exact comparisons with modern species because, as we know from trying to measure intelligence in humans, coming up with statistical measures of intelligence is really tricky. But the important thing is that many dinosaurs definitely had big brains. 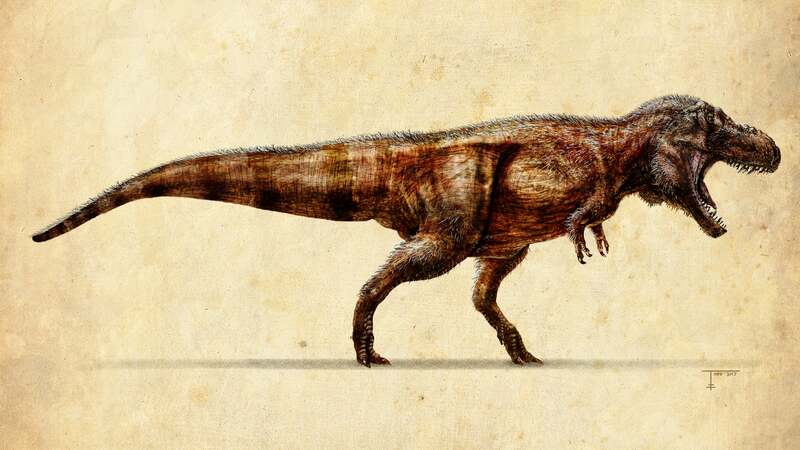 Gizmodo: What are some misconceptions about T. rex you'd like to clear up? Brusatte: I said above that I love Jurassic Park. And I do. And I don't want to rip on it. But, there are a few things that it got wrong. T. rex couldn't outrun a jeep, and it definitely was smart enough, and could hear and smell well enough, and had big enough eyes with depth perception, that if you stood still it could still see you, hear you, smell you, and eat you.